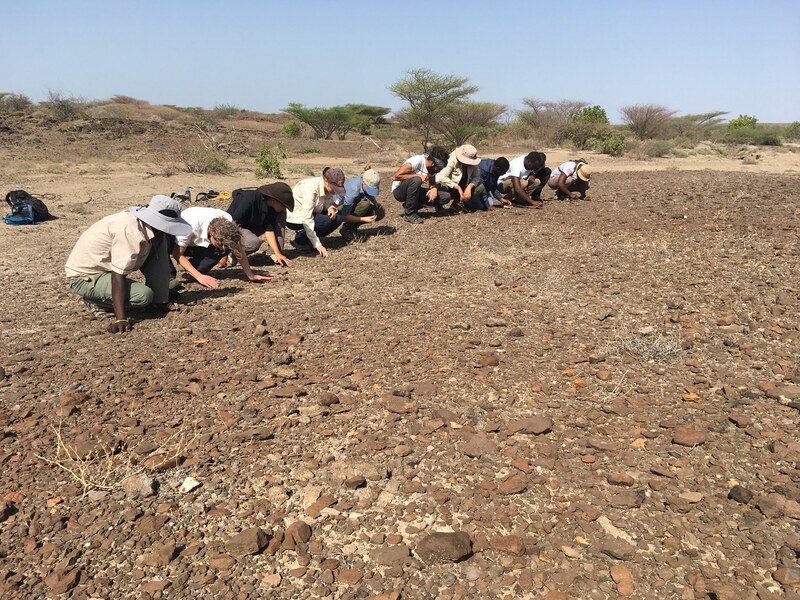 Turkana Basin Institute Field School students now begin an intensive two week course studying paleoanthropology, with a focus on East Africa and the Turkana Basin in particular. 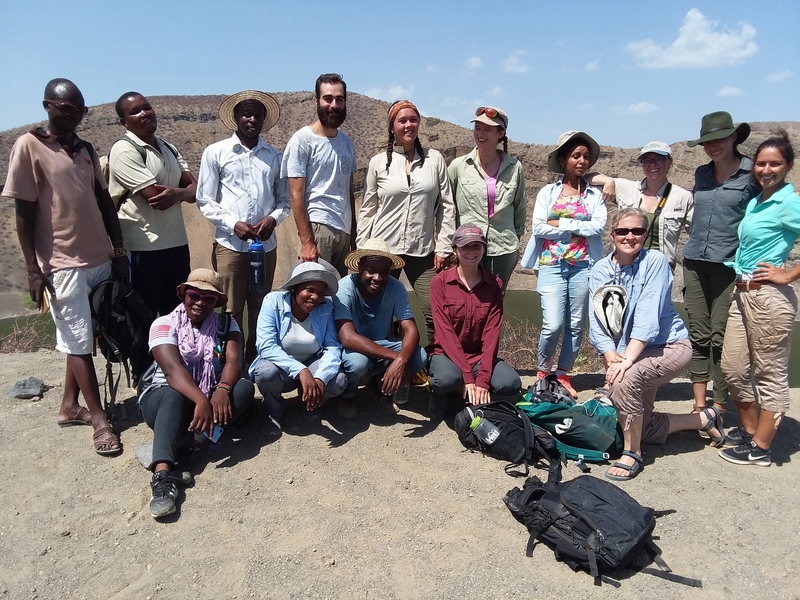 Led by instructor Cara Roure Johnson of the University of Connecticut, with guest lectures by Meave Leakey, students have begun a study human and vertebrate osteology, and primate evolution since the beginning of the Cenozoic. 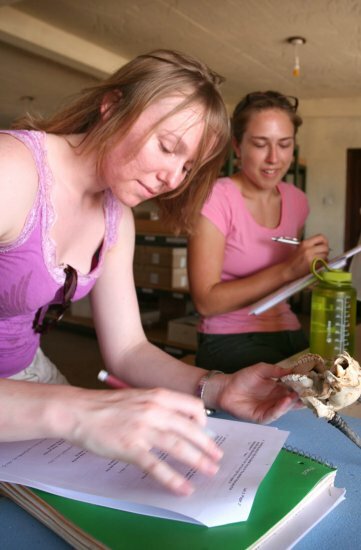 Cara has placed an emphasis on the theoretical underpinnings of evolution by natural selection in order to introduce her lectures on primate evolution and anatomy. 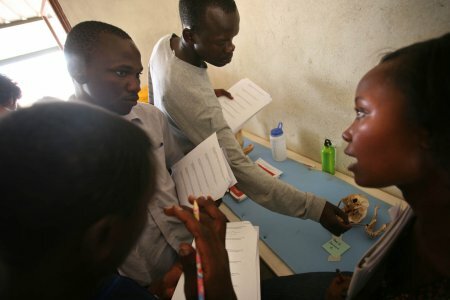 Students reinforce what they’ve learned in class using specimens housed at TBI, some loaned from the National Museums of Kenya. 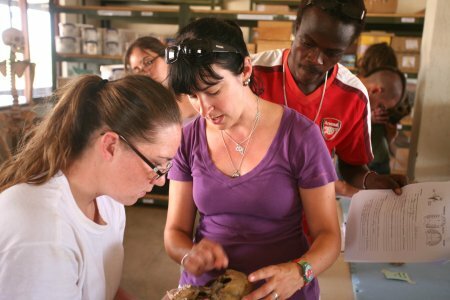 Cara Roure Johnson, of the University of Connecticut, teaches TBI students human osteology to inaugurate the Field School’s Paleonthropology module. 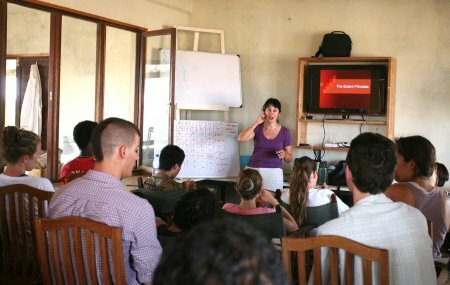 Cara begins her lecture on the origins of primates in the aftermath of the K-T extinction. 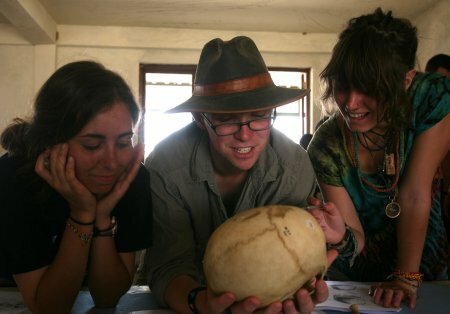 Chelsea, Ben and Meadow examine a human skull as they review anatomy covered by Cara in lecture. 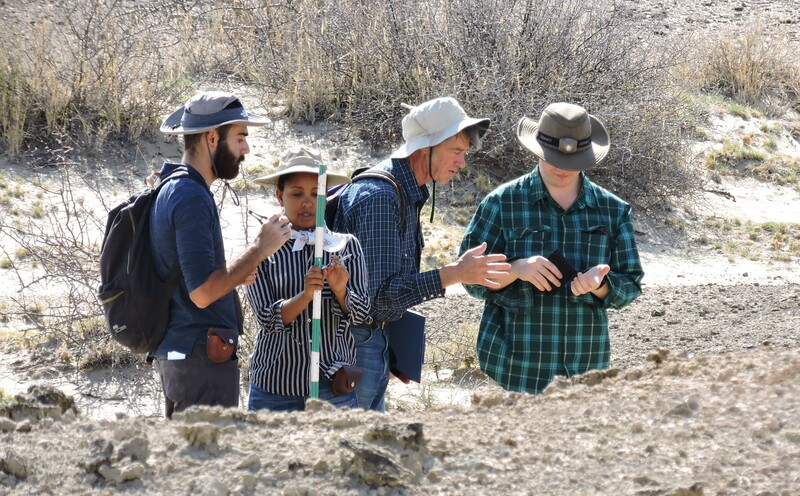 Cara helps students recognize key landmarks used by paleontologists to recognize bones and the species to which they belong. 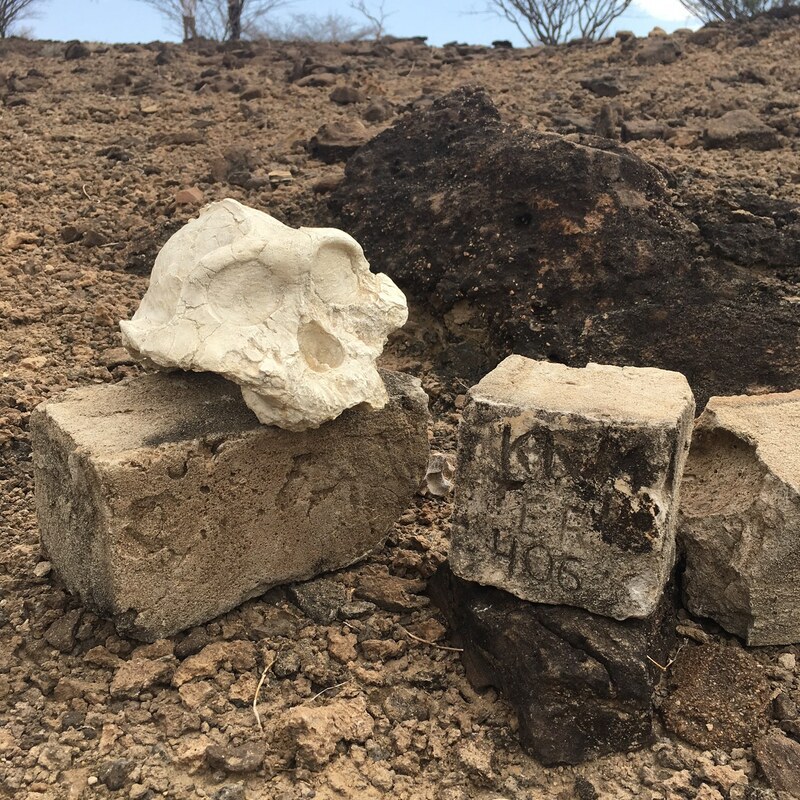 Cara Roure-Johnson’s course covers not only human but also vertebrate osteology. 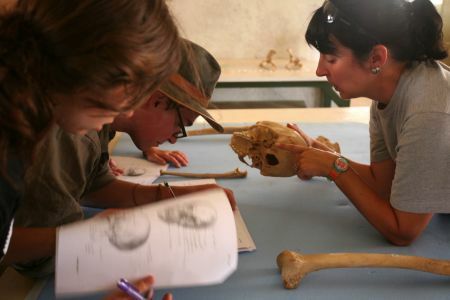 In the excercises above students practice identifying human remains before they move onto other primates or vertebrate species. 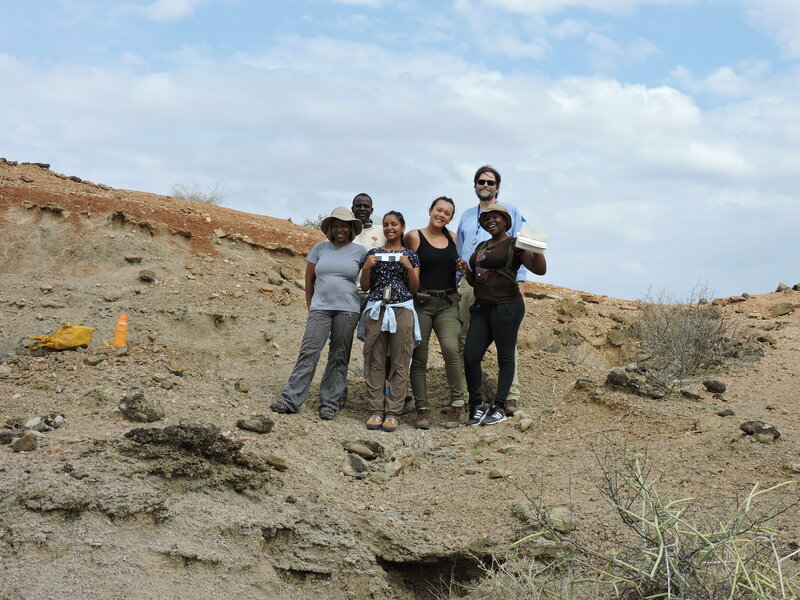 Kasia and Alisha take notes on the African Dik-dik, a small artiodactyl common in East Africa. Mary and John discuss the anatomical differences between cercopithecoid monkeys and apes as they lab partners review the specimens set out for study. Sonia, Chelsea and Luke look on as Cara clarifies an aspect of anatomy important for the laboratory excercise.